An Harassment Restraining Order requested by David Rucki and his daughter, Samantha Rucki, against Dede Evavold to prevent Evavold’s continued harassment of their family remains in effect after a court hearing was held this morning at the Dakota County Western Service Center in Apple Valley, Minnesota. Evavold filed a motion to vacate the Harassment Restraining Order (HRO) granted after a court in Dakota County ruled in July that “an immediate and present danger of harassment” by Evavold existed to warrant the granting of an HRO. But after Judge Philip Kanning learned in court this morning that Evavold had not served her motion to vacate the HRO on Lisa Elliott, the attorney for David Rucki and his daughter, Samantha Rucki, he postponed the hearing until after Evavold’s criminal trial for violating the HRO. Elliott had also filed a motion to hold Evavold in contempt for repeatedly violating the HRO. Both motions will be heard at the same court hearing, which will be held in the next few months. Evavold was visibly angry in the courtroom during today’s brief court hearing. 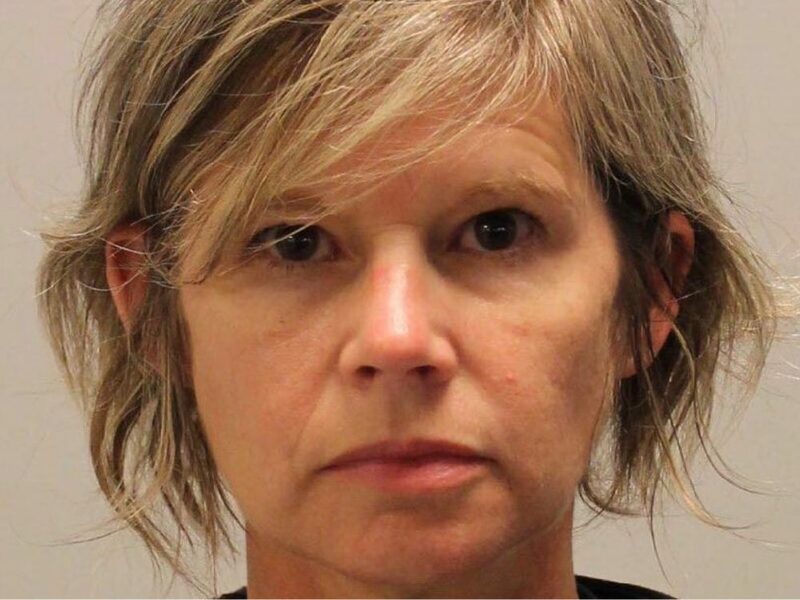 She replied with a gruff “OK” after Judge Kanning warned Evavold that the HRO remains in effect and that she could face additional criminal charges, including gross misdemeanor and felony charges if she continues to violate the HRO. 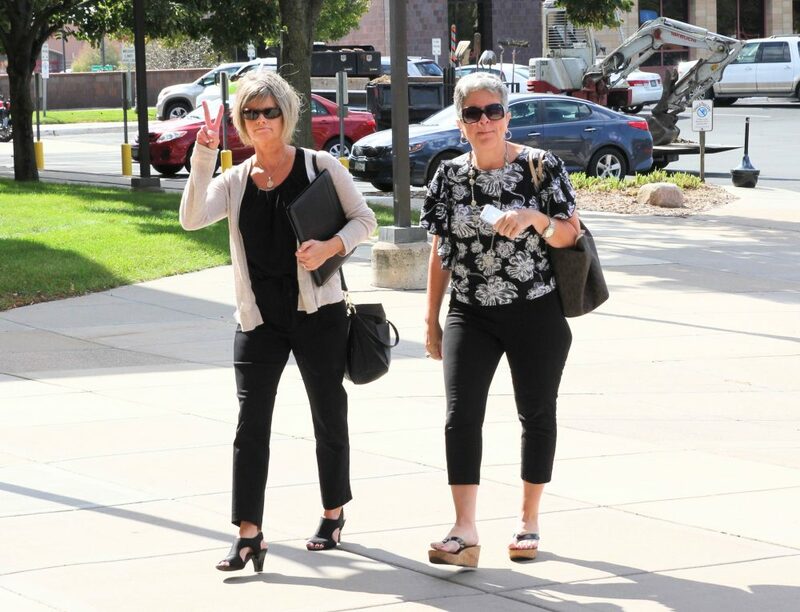 Dede Evavold denied she has violated the conditions of her probation which prohibited her from making any reference to Rucki family in her use of social media during a probation violation hearing today at the Dakota County Judicial Center in Hastings, Minnesota. Today’s hearing was scheduled after Dakota County Community Corrections filed a Probation Violation Report with Dakota County District Court last month alleging Evavold had made repeated references to the Rucki family in her use of social media. Despite authoring numerous posts where she directly named members of the Rucki family, and also sharing many of the posts on her personal social media accounts, Evavold denied in court today that she violated the conditions of her probation. Judge Karen Asphaug scheduled an evidentiary hearing for November 2, 2017, at 1:30 PM, where a determination will be made if Evavold has violated the conditions of her probation. Evavold was sentenced on November 10, 2016 after being found guilty of six felony charges related to her involvement in the disappearance of Samantha and Gianna Rucki, who were abducted by their mother near their home in Lakeville, Minnesota on April 19, 2013 during a custody and divorce dispute involving their parents – Sandra Grazzini-Rucki and David Rucki. A fundraiser hosted by Pizza Ranch to benefit a ranch where two missing sisters were held for 942 days was abruptly canceled after widespread public outrage. 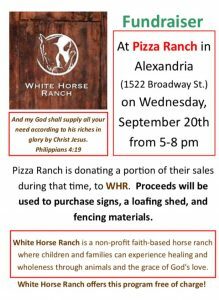 According to the promotional materials for the fundraiser, Pizza Ranch in Alexandria, Minnesota would be “donating a portion of their sales during that time” to White Horse Ranch, which is owned by Doug and Gina Dahlen. Doug and Gina Dahlen were sentenced in May to one year in jail for their role in the disappearance of Samantha and Gianna Rucki from Lakeville, Minnesota. Earlier today, the staff at Pizza Ranch confirmed they would be donating a portion of their sales to the White Horse Ranch. After being informed about the controversy surrounding the ranch and the criminal history of both Doug and Gina Dahlen, staff insisted the fundraiser would still be held. But hours after Missing in Minnesota posted details about the fundraiser on Facebook, the event was canceled. As of 6:00 pm last evening, the Facebook post published by Missing in Minnesota has been viewed by over 13,000 people with over 250 comments. Dan Gray, the owner of Pizza Ranch where the fundraiser to benefit the White Horse Ranch was scheduled to be held contacted Missing in Minnesota this morning to apologize for scheduling the event. “I apologize,” said Gray, adding “if I ever do it again, I’ll do a little more research.” Gray noted that he hosts numerous fundraising events for the community each year. 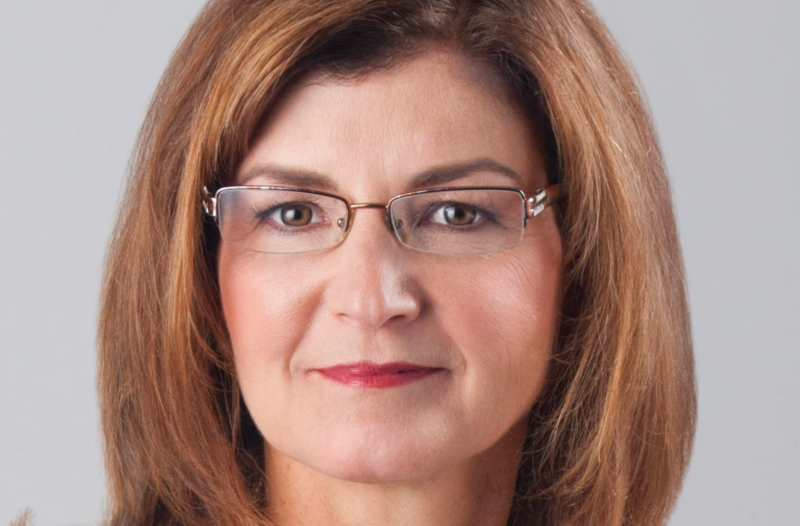 A federal civil rights lawsuit filed by Michelle MacDonald in March 2015 against Dakota County stemming from her arrest while representing Sandra Grazzini-Rucki in a family court hearing has been dismissed. It was during the custody hearing involving Grazzini-Rucki and her ex-husband, David Rucki, on September 12, 2013, that MacDonald took pictures in the courtroom which led to her being arrested. MacDonald spent a portion of the trial representing Grazzini-Rucki while confined to a wheelchair after her own refusal to walk back into the courtroom. MacDonald also refused to put on her shoes and glasses, or provide her legal name and address to law enforcement. The Memorandum Opinion and Order Granting Defendants’ Summary Judgement, written by John R. Turnheim, Chief Judge of United State District Court of Minnesota, dismisses all of MacDonald’s claims. Because the court has ruled that no grounds exist for the lawsuit, attorneys representing Dakota County have requested that the court order MacDonald to pay costs incurred by Dakota County due to the lawsuit. In March of 2016, the court dismissed many of MacDonald’s claims including, false arrest, false imprisonment, malicious prosecution and retaliatory prosecution leaving only a few claims left to argue. Dede Evavold has been charged with three criminal counts of violating an Harassment Restraining Order granted by a court in Dakota County to protect David Rucki and his family from Evavold’s continued harassment. She has been charged with three misdemeanors and if convicted, Evavold could be sentenced up to 90 days in jail and/or a $1,000 fine on each charge. Evavold is scheduled to be arraigned at the Dakota County Western Service Center in Apple Valley on October 17, 2017, at 9:00 AM. In July a judge in Dakota County found that “an immediate and present danger of harassment” by Evavold existed to warrant the granting of an Harassment Restraining Order (HRO) requested by David Rucki and his daughter, Samantha Rucki, against Evavold. The HRO requested by David Rucki and Samantha Rucki also protects Gianna Rucki and two other minor Rucki children from being harassed by Evavold. Since the HRO was granted, Evavold has repeatedly violated the conditions of the HRO with her continuous harassment and threatening behavior toward the Rucki family. According to the criminal complaint, Evavold violated the HRO by referencing the Rucki family in her use of social media and by posting pictures of the Rucki children just days after being served with the HRO. Evavold is also facing more jail time after a judge in Dakota County accepted the recommendations of Dakota County Community Corrections who want Evavold back in jail for repeatedly violating the terms of her probation. Click here to read more about Evavold, and check back to Missing in Minnesota for additional updates. The Minnesota Court of Appeals affirmed a ruling from the Office of Administrative Hearings that Michelle MacDonald, who was a candidate for the Minnesota Supreme Court in 2016, “knowingly violated” campaign law when she falsely claimed she was endorsed by a non-existent Republican organization. Last December, the Office of Administrative Hearings (OAH) ruled against MacDonald and also imposed a $500 civil penalty for violating the Minnesota Fair Campaign Practices Act. The initial complaint against MacDonald was filed by Barbara Linert of Eagan and Steve Timmer of Edina. “Hopefully this will be the final nail in the coffin of Michelle MacDonald’s judicial aspirations,” added Linert. 15 year-old Jasmine Block had been missing for approximately 26 hours by this time and the police were already hard at work looking for her. Two days later, on August 11, 2017, another message from a different person. This message contained an updated poster with Jasmine’s pictures. So many people were working so hard to spread the information about Jasmine. 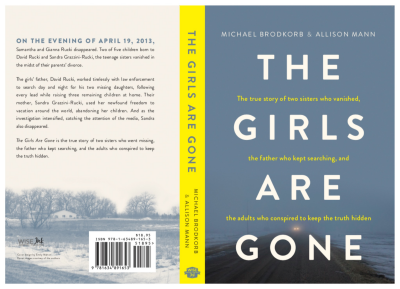 No one knew then where Jasmine was or who she was with, no one knew what hell she was living.